I'm upgrading from a 120gb PNY SSD to a 500gb Samsung 850 SSD. I cloned the 120gb SSD using EaseUS Todo Backup onto the larger SSD. But it seemed to copy the setup of my smaller drive. 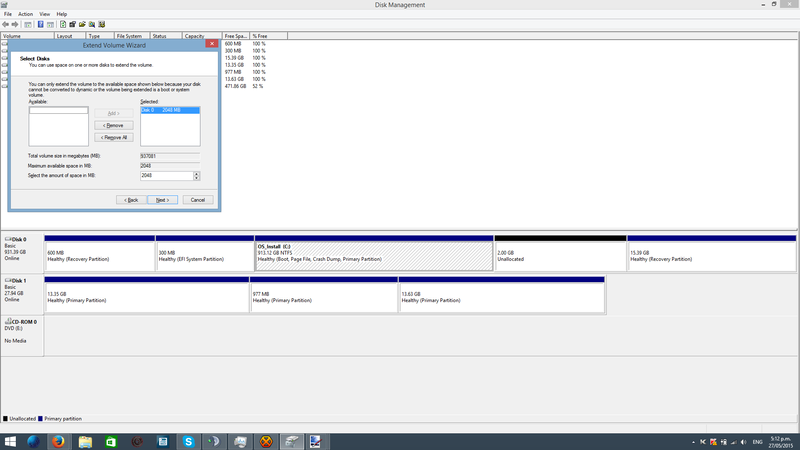 So on my larger SSD, I have 354gb that is unallocated. 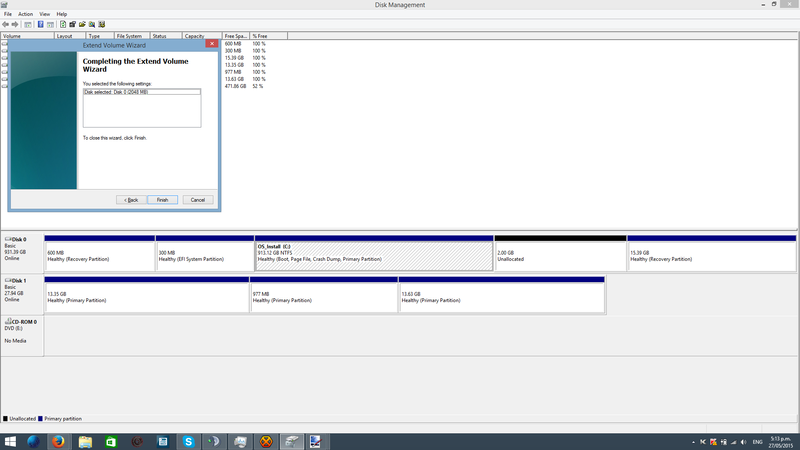 How can I merge the primary partition and the unallocated? 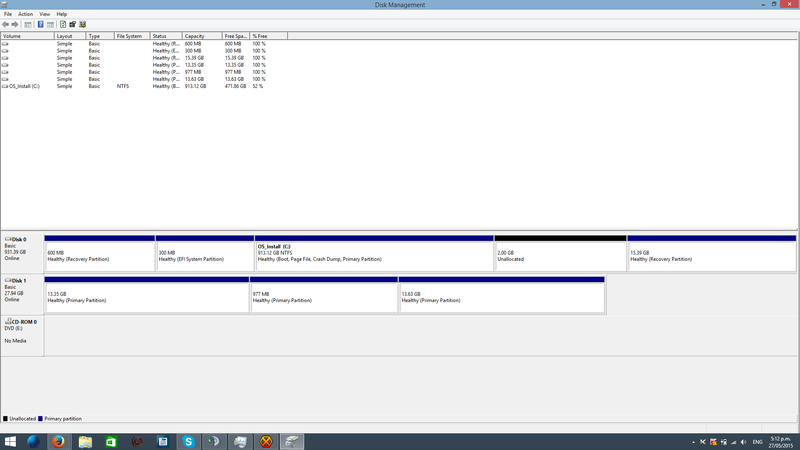 Because you did a drive clone (partition table and all), all the unallocated space is at the end of the drive. Since partitions need to be contiguous (in MBR and GPT at least). 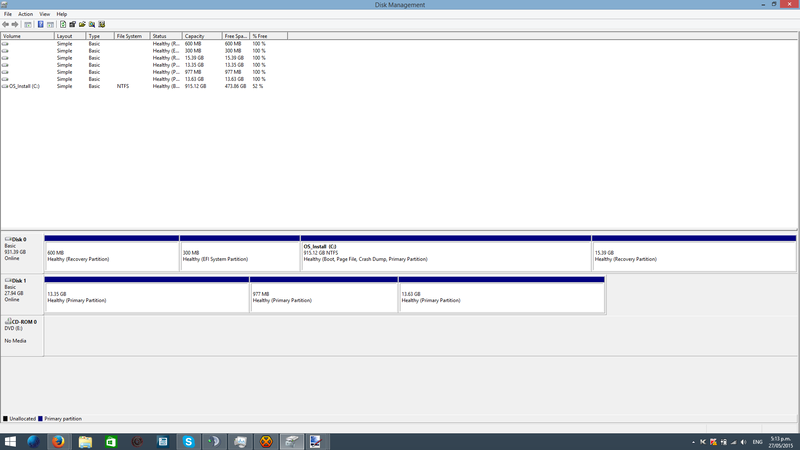 Your issue (based on the screenshots) is that you have two additional partitions at the end of the drive. Without using a dynamic disk you won't be able to expand into this space. Since this drive is a clone of your first drive you should be safe to play about a bit so I will suggest some possible ways to move the partitions to the end of this space. Disclaimer: Do not run any of these while running on the OS that is on your new SSD. I do not take responsibility for any loss of data that could occur. Do the same for the other recovery partition. 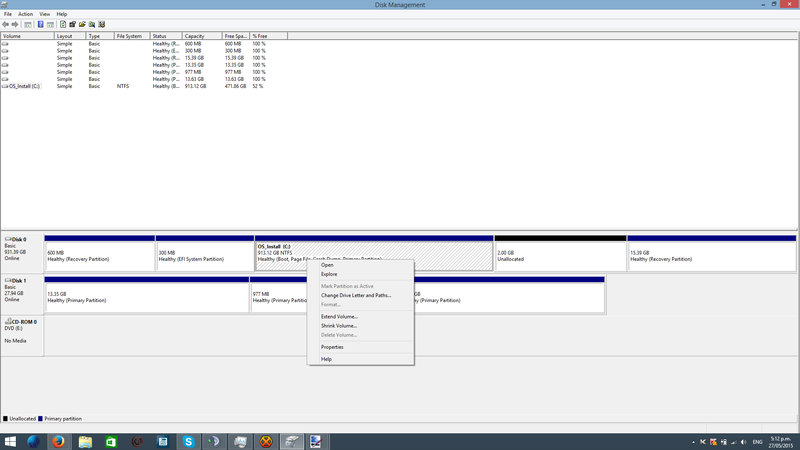 You should now have unallocated space directly after your to be C: partition. Expand the partition and now it should allow you to expand into this space. I don't really use Windows so if there is a less hacky way of doing this in windows or a Windows tool I would be happy for the suggestion. 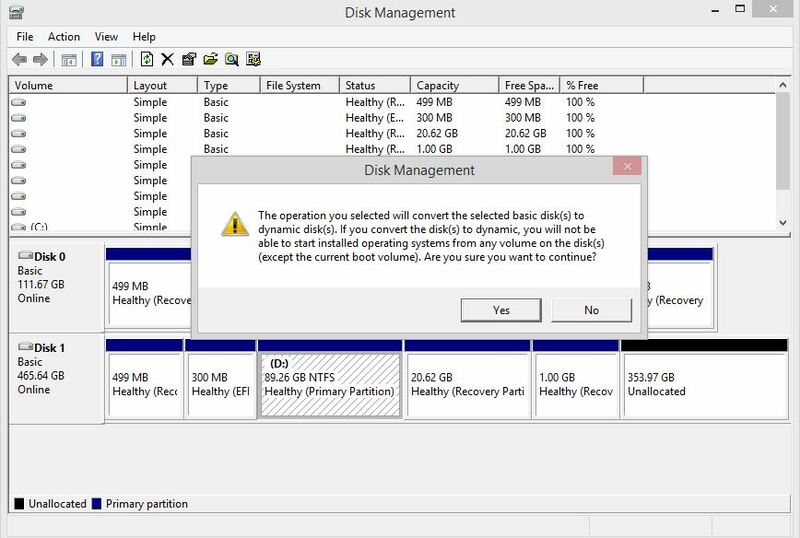 Alternatively, I would actually recommend using a live cd with the gparted tool on it as gparted supports offline partition moving where doing it in disk management for windows as described above, it's a little bit hacky and you may get problems if it doesn't want to shrink from the beginning. Depending on your cloning software though, there may have actually been a way to clone those last two partitions to the end of the drive at that stage. Have a look, I will update if I get a chance to look for one that would support this. One side not about cloned drives: In windows, if there is a mapping in the Windows registry for the UUID of your new SSD you may not be able to boot as Windows bootloader will think of that drive as "D:" for example, so when it's looking for C:\Windows it won't know where to look. I will add a link for how to fix this at some point, but its common on cloned windows drives so google for the fix. Not the answer you're looking for? 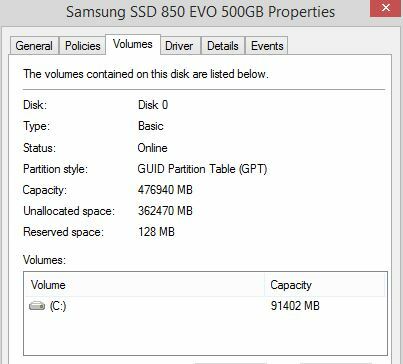 Browse other questions tagged partitioning ssd clone or ask your own question. 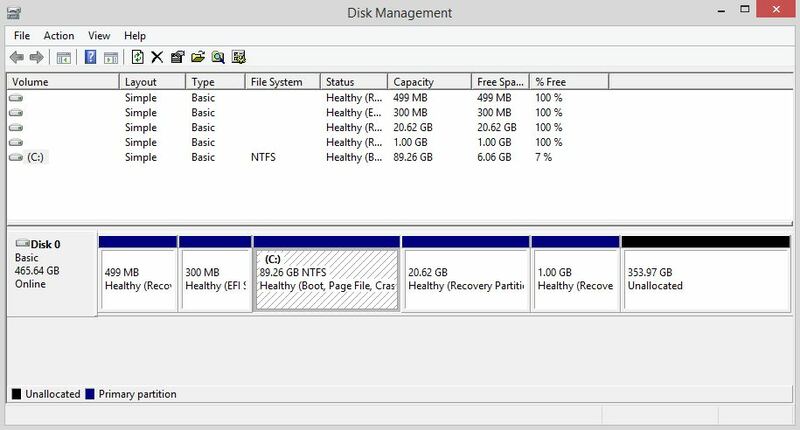 How to use entire disk space in Windows 10 when installing from system image?